Taking a break from the education series for a little joyous yippee-skip, because today? I busted out the solar cooker! Yep, on this cool, breezy day I solar cooked for the first time this year. It makes me so happy to usher in the season this way. Despite the chill, the sun is high and bright, the sky bluest blue, and in the solar cooker the oven thermometer registered 275 degrees. I was having so much fun, I neglected to take any photos of my handmade cooker doing its thing. This is not a photo from today, but from my very first summer of solar cooking, 5 years ago. Nowadays I know enough to put a dark cloth over my cookware. And I don’t use clothespins anymore, at least not inside the cooker. But you get the idea. salt, pepper, and love, baby! Tell you what, it hits the spot. Also from that first year. But I did toast pumpkin seeds today in a tray on top of the soup. I’ll put them in my salads this week. 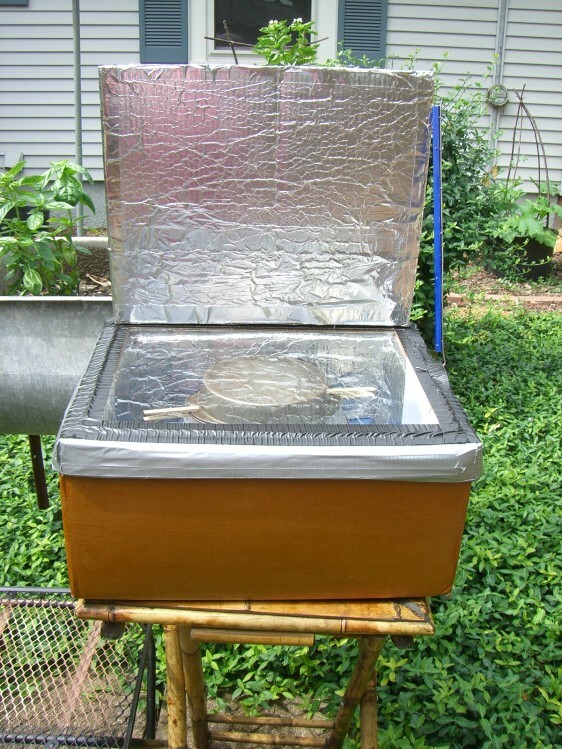 I’m so looking forward to another long summer of solar cooking. I can almost taste the plum cobbler now. 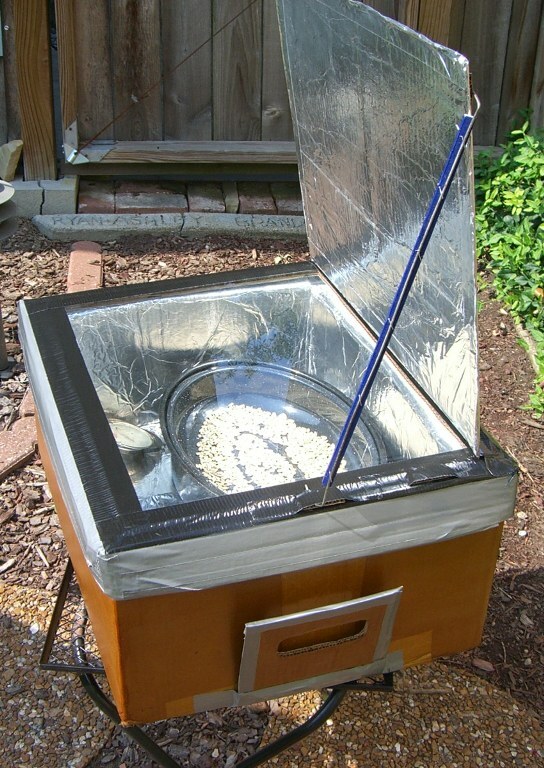 There’s more about my solar cooker and how you can make one here. This entry was posted in Carbon Footprint, Homesteading and tagged Carbon footprint, Cooking, Cookprint, DIY, Do it yourself, Garden, Local food, resilience, Solar, Solar cooker, Solar power, Sustainability. Bookmark the permalink.